I just had to create an inspiration board based on an amazing discovery I’ve made this week. A while back, I created this inspiration board (above) featuring an eclectic/mid-century style design, and it got a great response. So I thought I’d do a similar thing again. But this time, I truly believe that every piece I’ve included can work on its own. Truth is, most of us aren’t starting from scratch, but we all could do with a beautiful new clock or wall treatment to spruce things up. All the items featured below are mid-century inspired, from actual vintage to having vintage-like accents. 1. Walls. How full-on do you want to go with the color thing? If you said to yourself, yes! more color!, I’d recommend something like this Banana Yellow shade from Benjamin Moore. Personally, I think I’d either do a very light grey or an eggshell white on the walls. 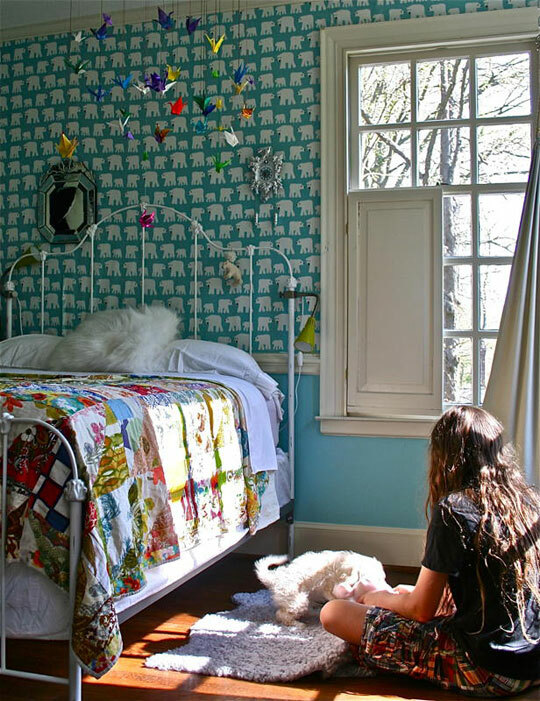 You’ll avoid any fear of overdoing it and it’ll help the colors elsewhere in the room pop more brightly. 3. Chalkboard tiles. 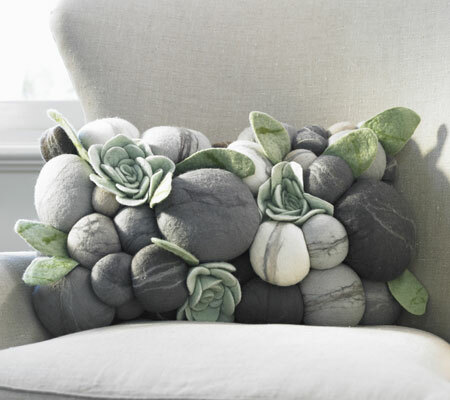 A new discovery of mine but available for a while now from Pottery Barn (the regular one, not the kids’ one). The tiles are 20″x14″ and $34 each. But they’re having a special promotion online – now you can get four at once for $15, for about $20 in savings. I would do one of two things with them – either place them high-up (above a dresser, for example) as ‘decor,’ or mount them width-wise across one of your walls at toddler-height for an inspiring play space. 4. Vintage educational posters. Aren’t they great? From the wonderful folks at Grain Edit, available at Etsy for $37.50 each. 5. Woven Poang chair. IKEA’s really upped the game lately with their Poang series. If you’re not totally into the idea of spending hundreds of dollars on a glider, this kind of chair would not only save you some change, the new webbing design would suit a retr0-modern-styled room beautifully. I personally think the rich forest green is gorgeous and a great complement to the background field on the bedding. Find it here for $99. 6. Wood-slat blinds with custom tapes. Now, this may be a personal quirk of mine, in the same so-old-school-its-new-again vein, such as the red-painted studies and ornate chandeliers of Brooklyn Heights brownstones. 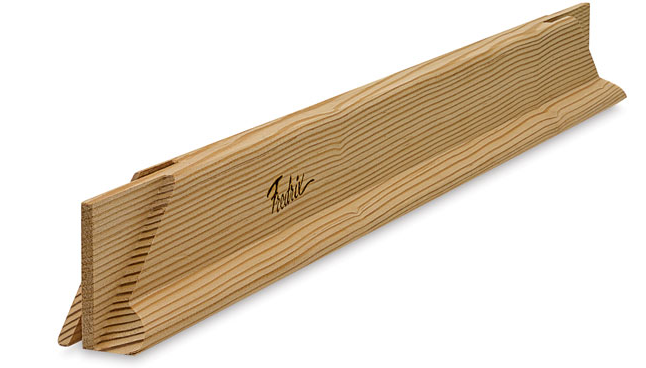 But I can’t help but think it’d be super cool to outfit a kid’s room with these sturdy wooden slatted window coverings, accessorized and personalized with fabric ‘tape’ in a coordinating color as the bedding. There are tons of places where you can find these blinds; I checked out the “Window Blinds Mall” for a price quote. This particular company offers tapes in great colors like a flamingo pink, a canary yellow, and “Alice Blue.” And for a typical 32″x60″ window, you’d pay around $100, then add a few more bucks for the tape. 7. George Nelson “Fernando the Fish” clock. Just adorable, in perfect colors for both boys and girls. $150 at Hive Modern. 8. Kartell FL/Y lamp. Available in so many fantastically bright colors, you can’t go wrong. (Of course, if you want white or black, they’ve got that too.) The greatest selection I found was at Velocity Art & Design, where you can find them for $293 each. Got any favorites of your own that you think would fit well in this room? Rugs? Dressers? Artwork? Let me know! 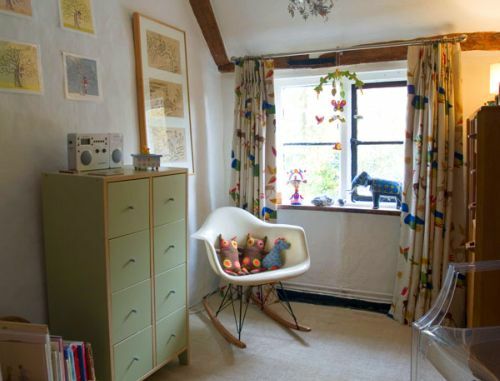 Checking out the nursery archives on Ohdeedoh the other day, I was struck by the awesome quirkiness of the child’s room shown above. Celeste and her mum Katy live in a self-described “wonky 16th Century cottage in the English countryside,” and, despite the miles between us, seem to face the same issues as us apartment dwellers in the NYC area (non-level walls, crooked floors, and overall small spaces). Reading on, I was initially impressed by the combination of materials, styles, and periods (e.g. Ghost chair paired with Eames rocker), but what really got me were those mad curtains. Can you see them? 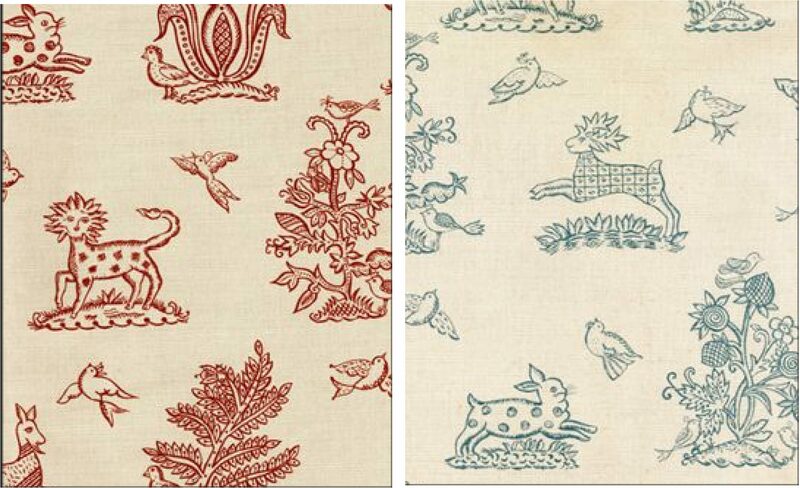 Above, two close-ups of the fabric she used for curtains, by a company called GP&J Baker fabrics. 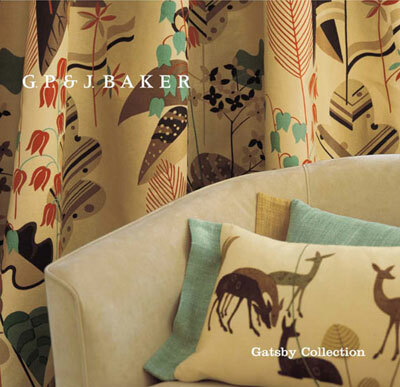 The GP&J Baker line is huge in the UK, but primarily sold through wholesalers (to the trade) in the US. 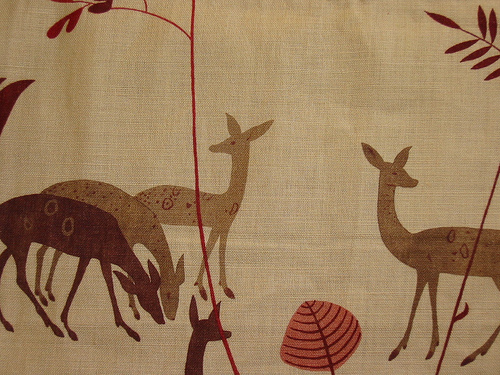 And what I learned from this blog is that the wonderful “Gatsby” line of fabrics (including “deer” in two colorways) was introduced in 2007 and may no longer be available. 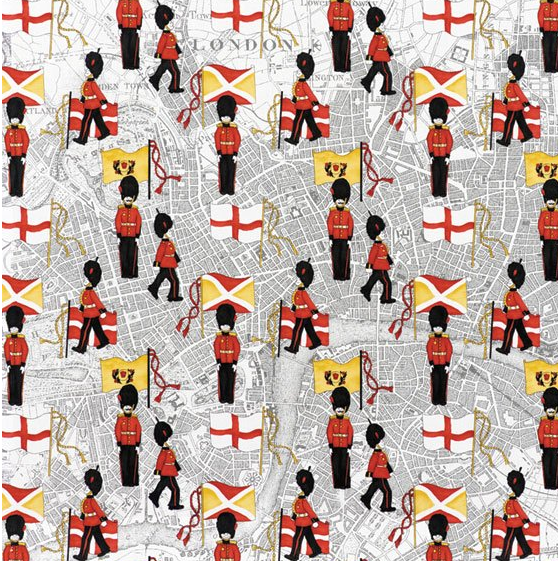 But it got me thinking: what other amazing fabrics, bedding or wallpaper do those pesky Brits have up their sleeve? (Full disclosure: hubby’s British, I’m allowed to say that.) So here are my three favorite recent finds, all from the UK but available in the United States and possibly worldwide. 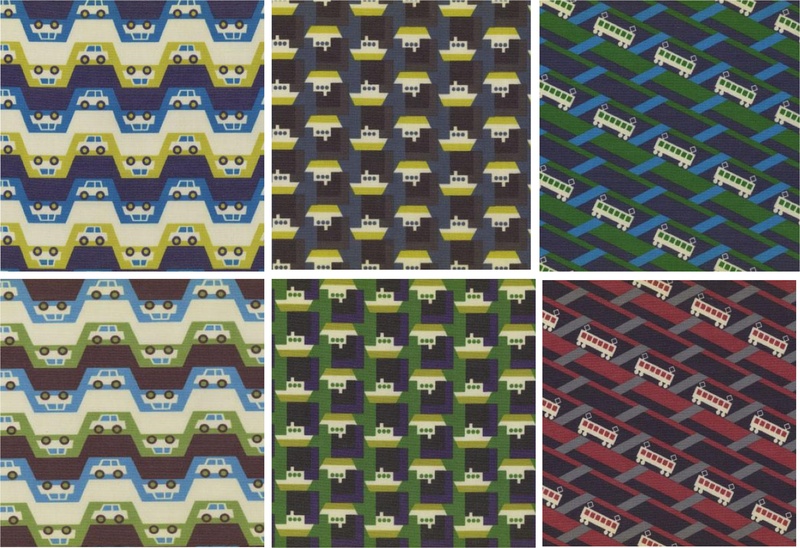 Also known as Ossie Clark’s better half, Birtwell’s textile designs are synonymous with London of the 60’s and 70’s. Perhaps you know her patterns from a recent partnership with Express stores (I have one of her blouses) or her designs for Topshop in the UK. I recently discovered her wallpaper pattern called “Beasties” and think it’d be perfect for a kid’s room. Described as “a toile type print with animals, birds and plants that is almost Elizabethan in look,” it retails for 55 (pounds) a roll. 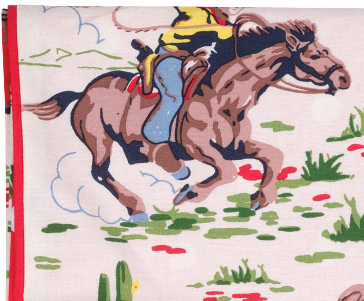 Although primarily known in the US for her oilcloth fabrics and flowered patterns, I found this vintage-looking cowboy print really fantastic. Part of the Cath Kids line, the duvet is reversible; the other side features red and white polka-dots, which modernizes and cuts the potential kitsch-factor of the wild-west theme. I believe there’s a CK store in SoHo New York, but I couldn’t find a listing online. Will do searching if anyone’s interested (fyi: it costs less than 40 pounds in the UK). How crazy is this fabric? Perfect for any young Anglophile (or Beefeater fan. . . just kidding), this pattern from Dragons of Walton Street would really punch up a room. I could see it used as curtain fabric, or perhaps just for accent pillows. Most of the Dragons inventory is pretty traditional (see it here) but you may find something unique to your liking. Sorry for the dearth of posts this past week – hubby has taken a week off for ‘holiday’ and, despite the sweltering heat here in New York, we’re trying to enjoy every minute of it. Kokka is responsible for distributing fabrics from such great, contemporary designers as Etsuko Furuya, Nani Iro, and Heather Ross. You’re sure to appreciate these unique designs on lovely cloth. The designs include vintage scooters and muscle cars, soft florals and cute, little animals with a Japanese twist to them. And they certainly do have a Japanese ‘kawaii’ (super-cute) twist to them. Many Japanese designs are as easily identifiable as Scandinavian ones – there’s a certain whimsy, adorableness, and a unique use of color. To show you what I mean, I’ve selected a number of Kokka patterns available at an amazing shop in SoHo (NY) called Purl SoHo. Purl offers everything you’d need for a fabric/yarn/string-related endeavor. 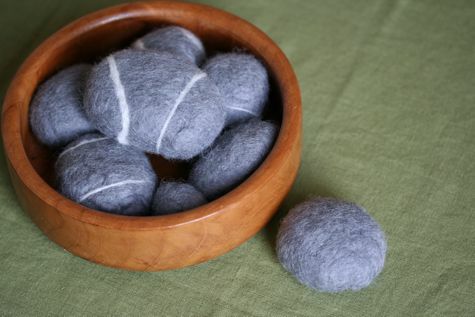 They also have a great sister blog called the Purl Bee, which I highly recommend for inspiration. And they have a huge selection of Kokka fabrics. No, they’re not cheap. But if you’re seeking a truly unique bedding set for a young one of your own, all you need is a few yards of fabric and a sewing machine* (*more on this in a second). 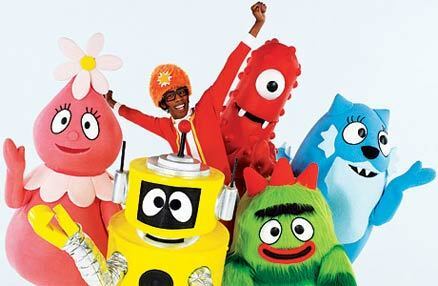 This is my favorite series. It’s called Transportation, it features cars, cable cars, and boats, and is available at $17/yard. I especially love the color combinations and the graphic/geometric shapes. 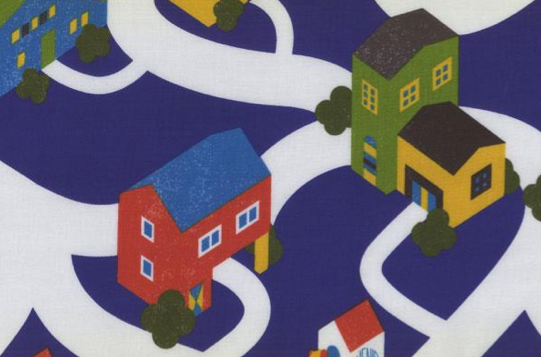 This pattern, La Ville, defines kawaii. It’s a bit reminiscent of Marimekko but with its own unique Japanese spin. (You can’t see it here, but there’s a little puppy peeking out of a doghouse, which is the cutest thing ever). La Ville comes in three colorways. It’s also $17/yard. Natural Daisy comes in the set of Mushrooms & Daisies – warning, the mushroom set is a bit psychedelic… This one is $15/yard. 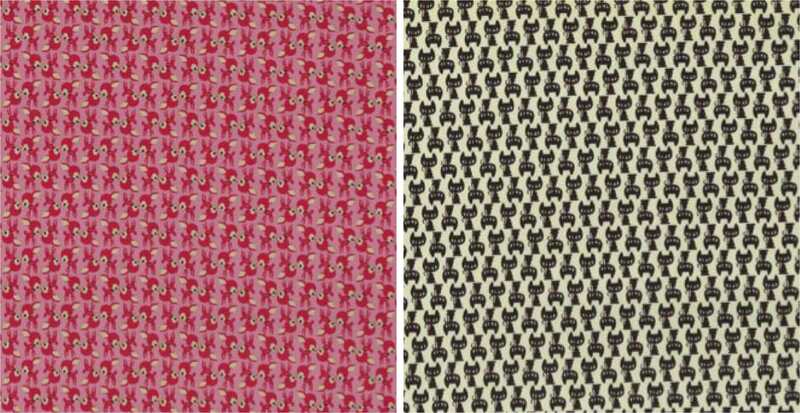 There are so many other sets too: matroyshkas/flowers (as featured yesterday) in a variety of colorways, cats and chickens, squirrels, and for you robot lovers out there, a great pattern called Robot March at $13.50/yard. * So say you want to turn all this great fabric into something amazing for your child’s room, and (like me) you’re not exactly the sewing-machine type? Or you’re expecting/working/a parent and you just don’t have time? Great news. J&M Sewing Shoppe is based in the Finger Lakes in upstate New York, but does a smashing virtual business of custom-made ‘sewing and seamstress’ work. (If you can find a place like this near home, even better. But if you don’t want to risk it, I think J&M sounds pretty terrific – and their prices are excellent). What I found compelling was the offer for “labor only” services. Provide your own fabric (plus requested notions like thread and velcro), and for less than $50 you’ve got yourself a custom-made duvet cover for a toddler bed. Matching curtains cost less than $40 to make. The majority of your investment comes from the fabric itself – something you’ve specially chosen as perfect for your room. Labor only duvet cover for toddler bed= $44.99 and six yards of fabric, plus the cost of notions. Labor only 8′ length curtains = $37 and six yards of fabric. I can’t see a downside to doing things this way. 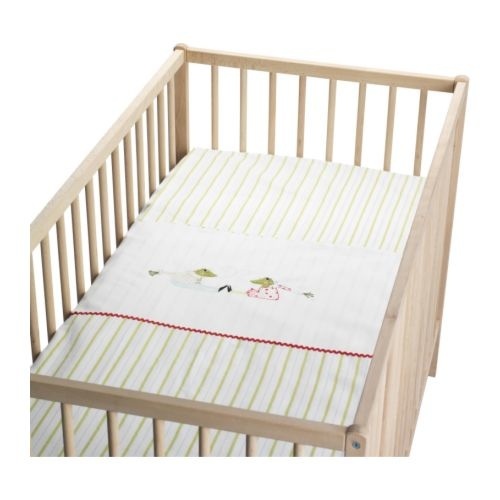 Of course, they also provide tons of other services, including crib bedding and additional window treatments. Have you had any of your own bedding custom-made? I’d be curious to hear your stories. These inspiration boards are so much fun to create. I’m hoping this one gives you a sense of my personal style, as it features some of my favorite pieces from past posts. And I’m also hoping that it helps inspire you, whether you’re starting a nursery from scratch or adding new pieces to a child’s room. In fact, I have so many favorites on this board I could write an individual feature on each piece. So if you have a question or if there’s something I haven’t covered (below), please let me know and I’ll devote a future post to it. 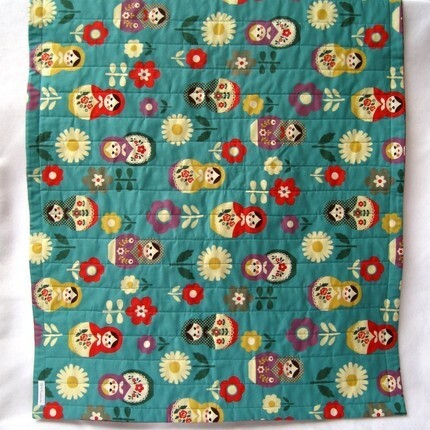 The Inspiration: Custom crib bumper featuring Japanese company Kokka’s “Matryoshka doll” fabric (a great find, see more adorable patterns by Kokka here). The bumper was designed and created by a mother-daughter team who run the amazing SewnNatural shop on Etsy. This bumper features purple and pink dotted fabric on the reverse side (a cue for my curtain choice), red piping and wide red grosgrain ribbon ties. At $230, it is definitely not cheap. But if you’re indeed interested in a bumper like this (and if you’ve decided to go down the bumper road in the first place, as we have), I’d recommend going with a solid white or cream-colored sheet as a counterpoint. 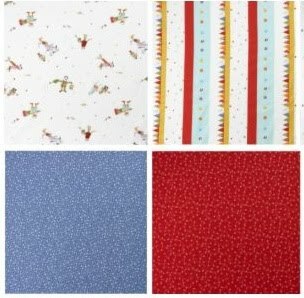 (For the highest-quality solid sheets, I always recommend Carousel Designs, whose crib sheets range from $16 to $34). I used this piece to pull out a series of colors for the room. And although there’s a trend towards monochromatic or dual-toned nurseries nowadays, I’m definitely of the ‘coordinate, not match’ school. I love the combination of yellow and purple, and red and turquoise. But the colors are used in moderation – the largest pieces (the yellow-and-cream-colored rug, plum curtains), are tempered by a white crib, a cream/ivory tone on the walls, and a charcoal-gray dresser/changing table. I’m also crazy about the work of Blanca Gomez (bicycle poster featured), whose amazing shop/site is called Cosas Minimas (little things). This particular illustration perfectly mimics the color scheme of the Kokka fabric. If you’re interested in her visual style, I’d recommend you check out this lovely interview with Blanca on the Grain Edit site, which specializes in mid-century-inspired visual design. This, along with the wonderful vintage teak rocking chair by Danish designer/professor Ole Wanscher (true Danish Modern, first produced in 1951), give the room a vintage feel that’s still really fresh today. I’m aching to design a nursery with these exact pieces… Or to just get some of these pieces for myself! An amazing room tour on Ohdeedoh.com the other day (ignore my dumb comment, btw) reminded me of another favorite childhood decor memory, this time courtesy of my handy dad. When I graduated from toddler bed to big girl room, (my parents and) I found a beautiful new bedding set – delicate floral bouquets tied together with royal blue ribbons, on a white background. I would have loved to cover the entire room in these little bouquets tied together with royal blue ribbons, but unfortunately, and unlike my best friend’s Waverly pattern (which I coveted like mad), there was no complementary matching wallpaper available to match the sheets, comforter, dust ruffle and sham. So my enterprising father bought a couple of extra king-sized flat sheets and proceeded to staple them to the bed-side wall. Custom wallpaper. I LOVED IT. Today, all the Scandinavian companies of note (Ikea, Marimekko) sell matching fabrics and textiles to coordinate with their bedding sets. I fell in love with the Fabler designs during my last trip to Ikea. I’d never seen this Marimekko pattern before – I’m used to the more traditional (and popular) Unikko poppies – but I think it’d be great in a child’s room. If you’re interested, check out the Finn Style website for more inspiration. 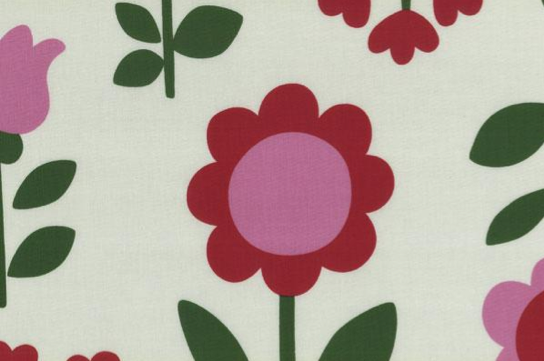 Of course, Marimekko does manufacture its own wallpaper (Unikko red, above)… if that’s what you’re into. Lastly, if you’re not ready for the commitment a staple gun provides (especially if you live in a rental apartment), I’d recommend another approach. Get yourself some Jackson Pollock-sized wood stretchers, create your own wall-sized frame, then stretch some of that great fabric you bought (See here for tutorial). You’ll then have a lightweight piece of art that’s fully-coordinated and ready to move with you wherever you go. I’m on an art kick this week. Back in my design firm days, we used to talk about the need to engage all the senses when creating new products. Of course, we all want pictures to be beautiful. We want candles to smell lovely, we want watches to tick, and we want cookies to be delicious. But for some reason, we don’t always think about how things feel when we touch them, and how delightful it is when the sense of touch is stimulated. Haptic perception is the power of recognizing objects through touch. And to me, it’s best sense to play around with. 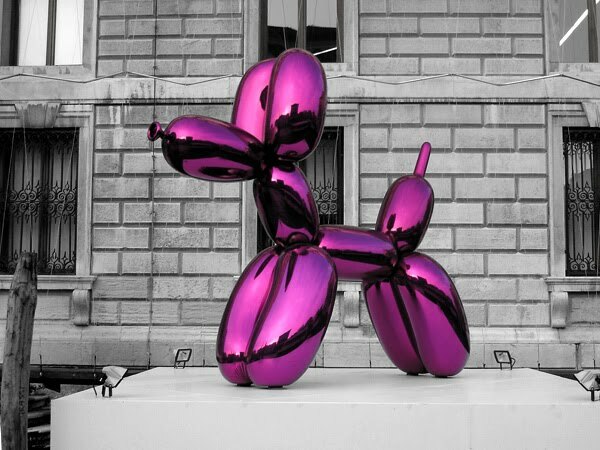 As Balloon Dog (above) illustrates, it’s super-fun to have your expectations challenged. And just as a balloon dog is supposed to be small and lightweight, a rock is supposed to be dull and heavy. 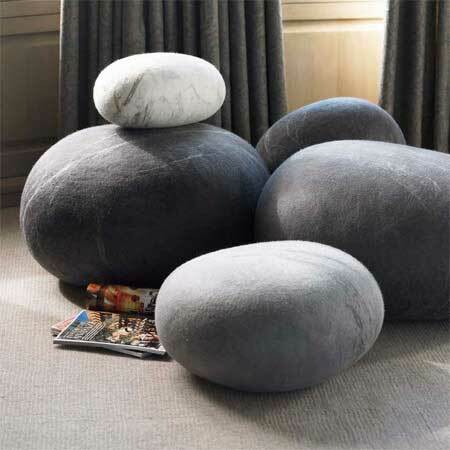 That’s why I think these felted rock cushions by South African textile designer Ronel Jordaan have captured the imagination of many bloggers and online shopkeepers. 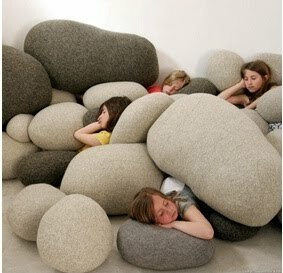 The lumbar pillow features little cabbage flowers amidst the stones. 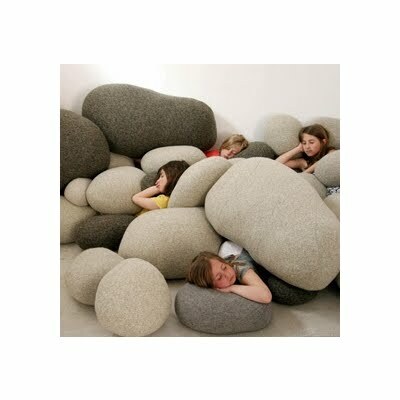 A French designer named Stephanie Marin sells her own version of the stone cushion, called Living Stones, which I found for sale at an environmentally-friendly kids’ shop called Olozoo. 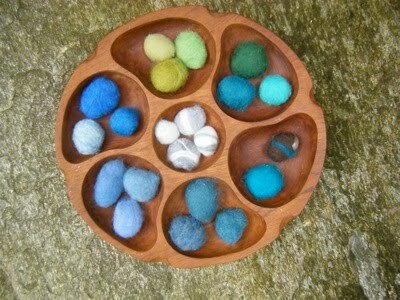 If you’d like to try your own hand at felted wool stones (albeit on a smaller scale), I found two great tutorials online. One is from the ever-prescient design*sponge, in a post from last February. Remember, don’t throw things at your friends. 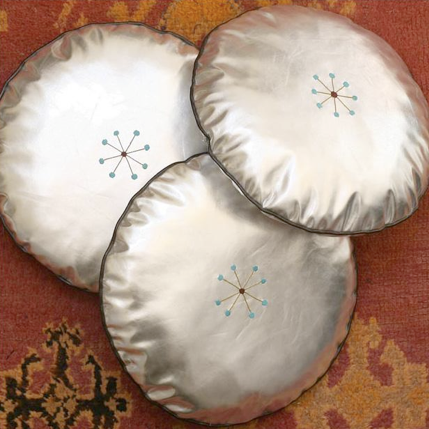 This morning, I spotted these mod-yet-eclectic silver round pillows by Zid Zid Kids. The first thing I thought of? Andy Warhol. Tasputen, who posted the following video to YouTube, provides background. Simple, yet mesmerizing in some strange way. In Pittsburgh, you’re encouraged to interact with the pillow-cloud-balloons. And just like playing in the snow, you lose track of yourself, your self-consciousness dissolves, and you find yourself standing there, looking up, waiting for the next weightless cloud to fall. Why not bring this feeling indoors? 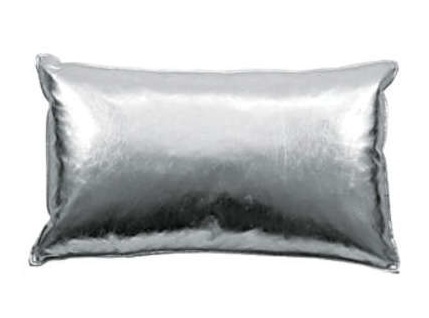 Found this beautifully understated pillow (if that’s possible in silver) at Walmart, of all places. It’s faux-leather and down-filled. For girls, it could make for a bright contrast in a pale-hued room, adding some much-needed modernity if you’re drowning in princess gear. For boys, you can really play up the industrial side of the metallic tone, even pairing with the robots featured in an earlier post. I’ve never been a huge fan of the Fatboy range of products, but I could really go for this silver body pillow in lieu of another chair. Lastly, the best deal comes again from Etsy, where I’ve been finding all my bargains lately. 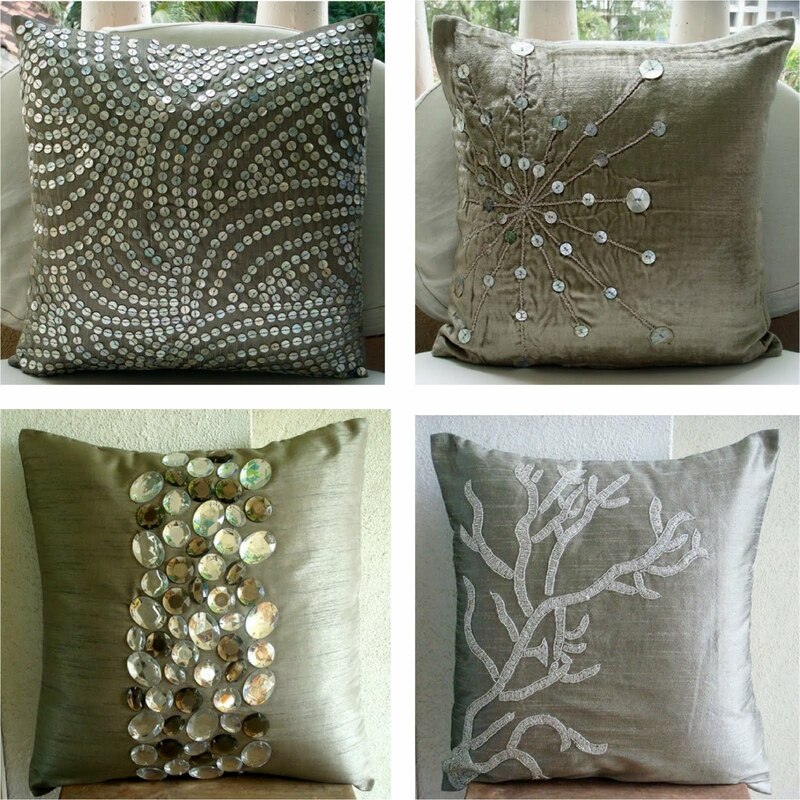 Check out these pillow covers from the Home Centric. They’re the creations of a woman named Urvi, who works in Pune, India. These are just a sampling of her designs. I know they’re a bit intricate, and perhaps delicate, for kids’ rooms, but how can you go wrong for $28 dollars? I especially covet the pillow on the lower right that’s covered in baubles. It makes me happy to look at it, just like the Warhol clouds do.